Meet our team of founders, innovators, entrepreneurs and philanthropists. 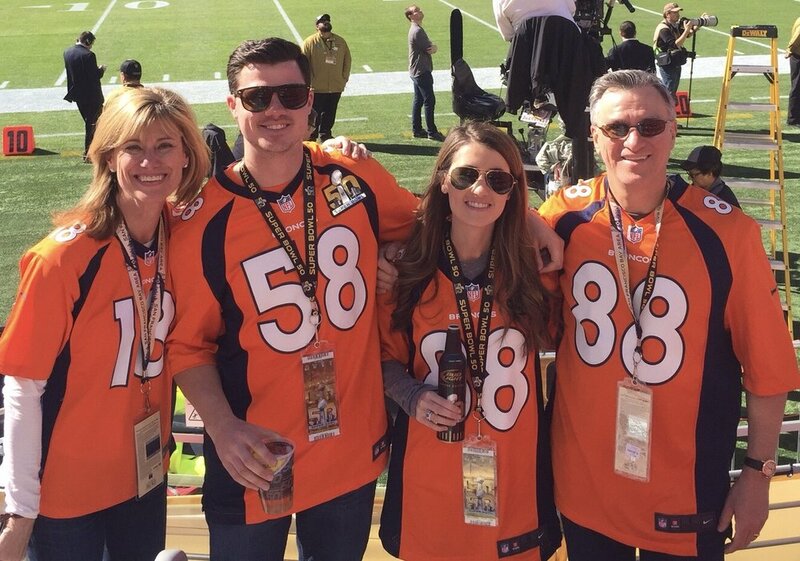 John is the Denver Broncos President of Football Operations and General Manager. During his tenure, the Broncos have won four division titles, two AFC Championships, and Super Bowl 50. In his 23 seasons with the franchise – 16 as a player and seven as an executive – the Broncos have appeared in seven Super Bowls. He received his BA in Economics from Stanford University. As a senior, he was a consensus All-American and finished second in the Heisman Trophy balloting en route to the No. 1 overall selection in the 1983 NFL Draft. John has devoted his time to numerous charitable causes during his three-plus decades in Denver. In addition to starting the Elway Foundation in 1987 to assist in the prevention and treatment of child abuse, he has supported and collaborated with several other organizations, including the Heroes Foundation, Make-A-Wish Foundation, and the Boys and Girls Clubs of Metro Denver. He lives in Englewood, CO, with his wife, and has three daughters and a son, a grandson and three granddaughters. He enjoys golf, fishing, hunting and spending time with his family. Larry is the Founder and CEO of Cuvée, founded in 2006 as a lifestyle platform that blends his passion for community, culture, and investment. Cuvée inspires families and friends to discover the world’s most special places at a deeper level. Larry received his BA from the University of Wisconsin and attended the Harvard Executive Management School. Prior to Cuvée, Larry served as a leader in the B2B technology sector. He spent 16 years with IBM in numerous positions, and ran IBM Europe in Paris, France. He was President of Ariba, a Silicon Valley-based software company that he took public; it became one of the largest market caps in the dot-com era. Larry has a strong passion for philanthropy, and leverages Cuvée as a platform for giving back to nonprofits around the country. He founded Flight to Luxury, one of Colorado’s premier fundraising events, which has raised over $7M for Denver’s youth. He lives in Denver with his wife Mary Kay, and loves spending time with his two daughters, Kate and Emily, and grandson. George is the President and CEO of FourPoint Energy LLC, a private upstream oil and gas company and its wholly owned subsidiary, MidPoint Midstream. He also serves as the President and CEO of LongPoint Minerals, a company focused on the acquisition of mineral interests throughout several predominate U.S. Basins. George received a B.S. degree from University of Colorado and a M.S. degree from University of Colorado-Denver. He has had an exceptionally successful career as an energy entrepreneur with over 33 years of industry experience. From 1984 through 1999 he held various positions within the industry and in 2000, launched Cordillera Energy Partners. Serving as President and CEO of Cordillera I, II, and III he lead each company to a successful divestiture. In 2012 Cordillera Energy Partners III merged into Apache Corporation for $3.1 billion in cash and stock. George previously served on the Executive Committee of the Western Energy Alliance and currently serves on the Advisory Board for the J.P. Morgan Center for Commodities at University of Colorado at Denver, the Board of Trustees and Executive Committee of the ACE Scholarships, the Board of Directors of Colorado UpLift, and the Board of Directors of the WGA/Evans Scholars Foundation. He currently resides in Denver, CO with his wife, and has two college age daughters. He is an avid golfer, adventurous traveler and devout Denver Broncos fan. Walter is the former CEO of Prologis and a member of the S&P 500. Prologis is a leading provider of distribution facilities and services with over $50 billion in assets and operations in the Americas, Europe and Asia. Walter joined Prologis in 1994. Prior to becoming CEO, he was the President and Chief Operating Officer, Managing Director and CFO, and the Senior Vice President/Director of the company’s Mid-Atlantic region. Walter received his M.B.A. from Harvard Business School and his B.S., with distinction, in Accounting from The Pennsylvania State University. He was appointed to the Board of Trustees at The Pennsylvania State University in 2014 and serves as Chairman of the University Board's Audit and Risk Committee. In 2010, the Penn State Alumni Association named Mr. Rakowich a Penn State Alumni Fellow, a lifetime designation and the highest award given by the association, recognizing outstanding professional achievement. Walter is currently Chairman of the Board of Colorado UpLift and is a member of the Board of the Alliance for School Choice in Education (ACE), two non-profits focused on educating at risk children in the inner city. He also serves on the board of the CEO Forum. Helen brings over 8 years of experience in public relations, experiential marketing and event production. She has a strong track record in developing and executing marketing initiatives across consumer packaged goods, beauty, lifestyle and automotive brands. Helen, originally from the United Kingdom, resides in Broomfield with her husband, Joe, and loves enjoying everything the Colorado outdoors has to offer.